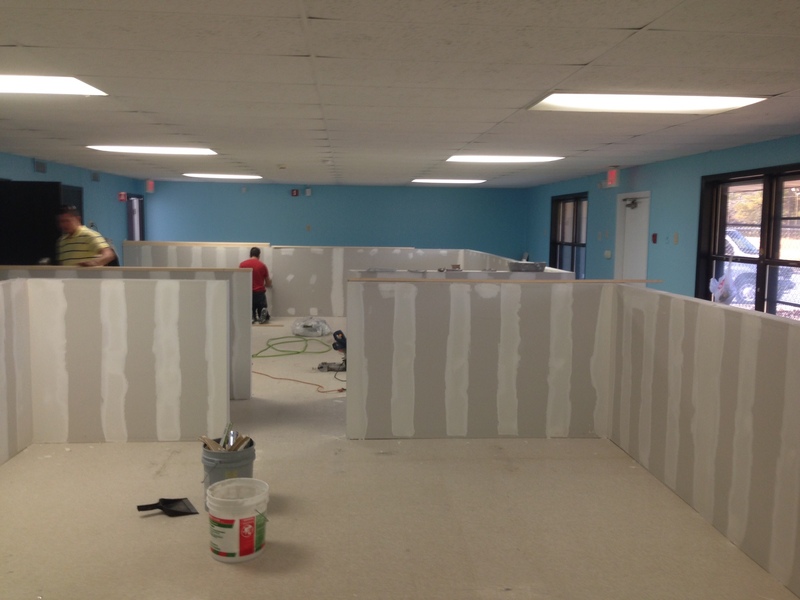 When a Douglasville preschool decided to remodel an open space in their facility into three rooms specifically for toddlers, they selected D&R Painting and Construction to do the job. Working off plans provided by the school, D&R framed out the 1200 square foot space into two large rooms and one smaller one. 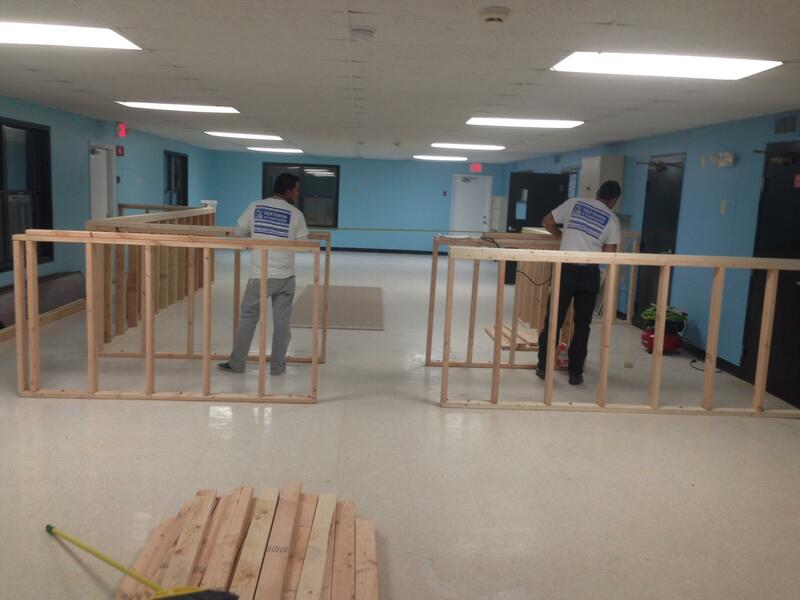 Once the framing was in place it was time to start hanging the sheetrock. Careful measurements were made and locations of outlets and door frames were noted. A two man team began attaching the drywall to the framing being careful to precisely cut out sections in the drywall to accommodate electrical outlets. Door frames presented the same requirement to custom cut sheetrock in order to assure a perfect fit when the frame was installed. After attaching the drywall, the team began the taping and mudding process. Tape is used to cover joints between drywall sheets and “mud” (drywall compound) is used to cover the tape and dimples made by drywall screws. Once the mud had dried, all surfaces were sanded in preparation of applying a primer coat. With the primer coat on and dry, the team began applying two coats of durable interior paint specially formulated for easy cleanup of greasy little fingerprints. 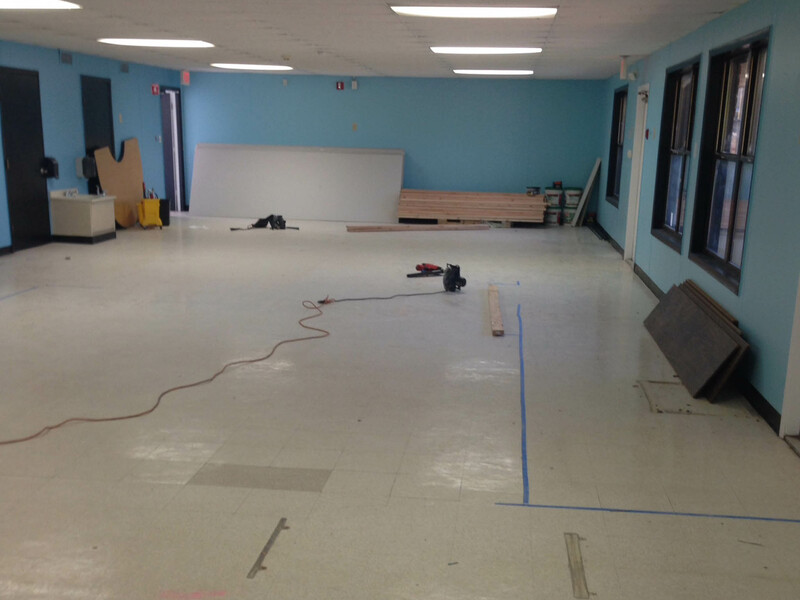 Doors and trim were hung and attached and voila, a perfect space for students.